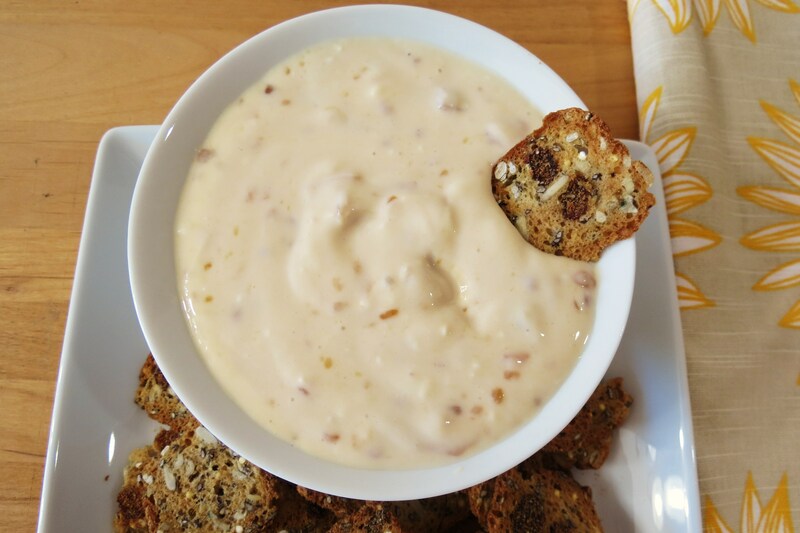 Today was a fun day for me, I got some special treats in the mail and with the goodies I got, I was inspired to make this tasty, creamy, sweet with a pinch of tartness Blood Orange Yogurt Dip! Being part of the Foodie Pen Pal Program sponsored by Lyndsay from the Lean Green Bean, I got box of treats from my Food Pen Pal Jessica from My Health Passion. I have to say I LOVE everything I got and couldn’t wait to rip open everything! Looyk at what she got me!! She got me all the things I love, like Almond Butter, yum! Yah, I broke into that right away! It went on everything, plus I ate some by the spoonful! So good!! She also got me Candied Ginger from Trader Joe’s, which my Trader Joe’s doesn’t carry. I was looking all over for it a few months ago! I also got some tea, which I took to work and I enjoy in place of my morning coffee, not to mention I drink the tea, while nibbling on the almond cookies. The Oatmeal packet I haven’t tried yet, but it’s at work, for an emergency!!! Now the crackers are something I have been wanting to try, but I haven’t. I broke into them and oh my are they good. Sweet and Savory! Delish!! I just love the raisins in them. The name got cut off in the photo, their Trader Joe’s Rosemary Raisin Crisps. I love them!!! Jessica also got me the cutest card which is hanging on my refrigerator. My Husband and Little Jenny thought it was funny!! Jessica, thank you so much for all of my goodies, I love it all!!!! But I think you know that from my excitement! See the crackers in the picture above? There the Rosemary Raisin Crisps Jessica sent me. I love the flavor of them and the chewiness of the raisins, tasty, tasty! 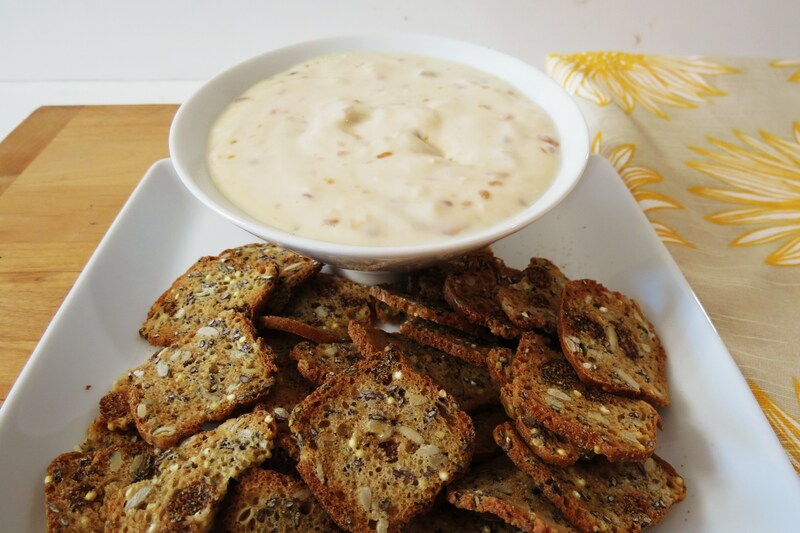 So I decided to whip up a dip especially for these crackers. I took Chobani Plain Greek Yogurt, Cream Cheese and Blood Orange Marmalade and mixed it together. It’s thick, creamy, sweet, but not over baring sweet and totally yummy! A perfect complement to the crackers! I also dip strawberries into it and it tastes amazing. You can so eat this with a spoon too! Yes I took a couple of spoonfuls. I had to test it after all!! Thank you again Jessica! I am so happy for my goodies!!! I was Lyndsay’s from Itz Linz Foodie Pen Pal this month, I sent her a bunch of local finds. If you want to see what I got her, pop over to her blog and check it out! Hope she likes what I sent her!! A creamy, sweet with just a tint of tartness dip made with Greek Yogurt and Blood Orange Marmalade. Perfect for dipping a crackers and fruit in. Mix ingredients together, until smooth and creamy. 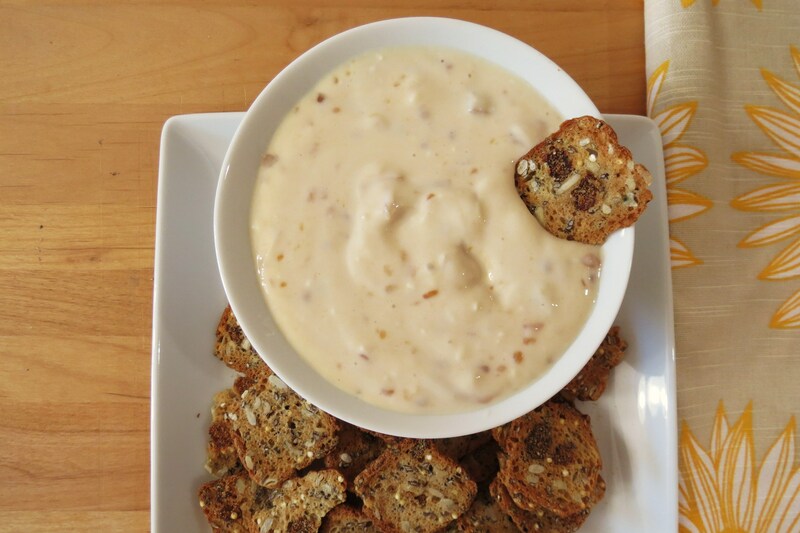 If you want to be inspired to make a new recipe like my dip, join the Foodie Pen Pal Program. You just never know what new find you’ll get!!! Here is some information about the Club!! Thank you so much for everything! I do love it all!!! The card you sent is so perfect!! Just adorable! Thank you again!! The pen pal program sounds so fun! I’m very tempted. And your dip sounds delicious. You should join the club! It’s so much fun! I love getting unexpected treast in the mail. PLus it’s a fantastic way to try out new items and meet new people. I like to use it in my bread, so it’s not to over baring!! I love yogurt so much and coming up with different concoctions!! blood orange yogurt dip?? that sounds SO GOOD!! It tastes amazing!!! I love the combo! That is one cool swag bag you got! This sounds like a great concept. I am checking it out now. Love that dip! I know I got a great box of loot!!! You should join, it’s so much fun!! 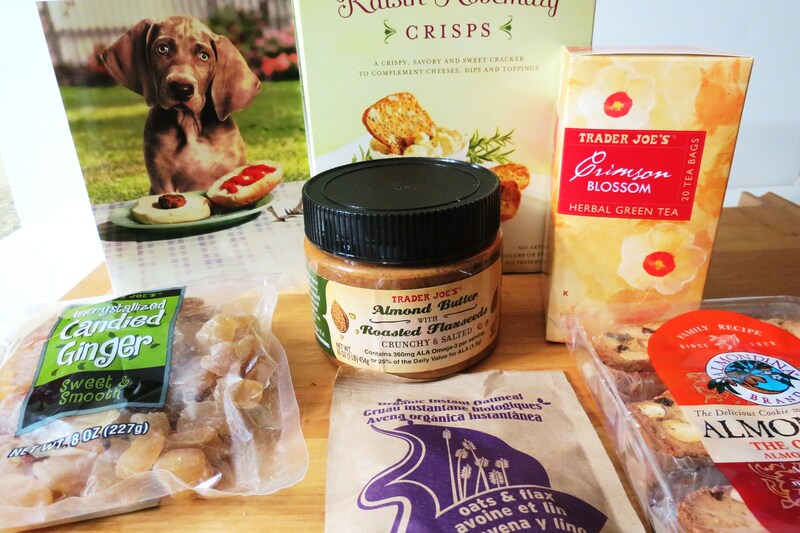 All the stuff you posted about Trader Joe’s in this post made me run out there today! I got their lemon bars–which are simply delicious! Along with their chocolate crossiants, vacuum fried pinnaple chips, mac n cheese bites, and their dark chocolate pretzel slims. I always have such a hard time picking just one think from the frozen treats isle at TJ’s, it all looks so yummy!!! Oh I haven’t tried there Lemon Bars, I have to check them out the next time I go! There chocolate croissants are amazing, they taste bakery fresh!! The pretzel slims are so addicting, you’ll love them. Nothing like the combination of salt and chocolate!! I love hearing about your TJ adventures!! What a great sampling of treats!! 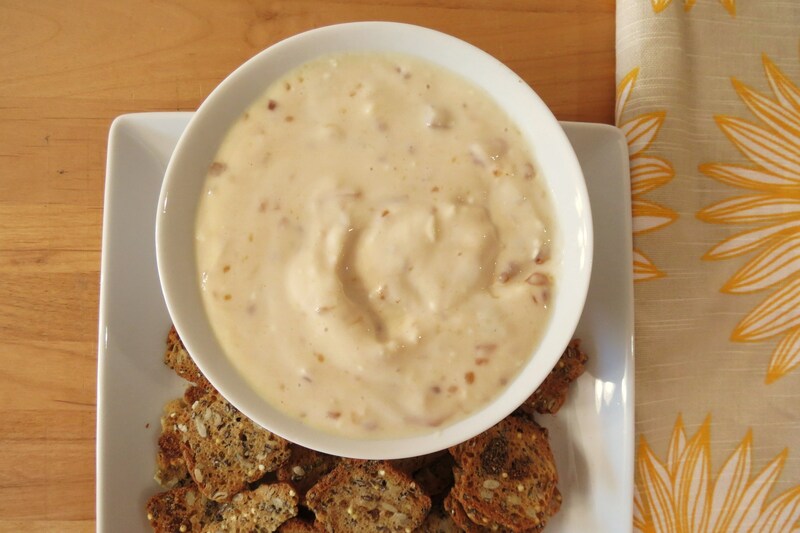 And the blood orange dip sounds absolutely wonderful. Thanks! I love all of my treats! You should look into joining!! It’s so fun! Such yummy goodies. Love the dip.